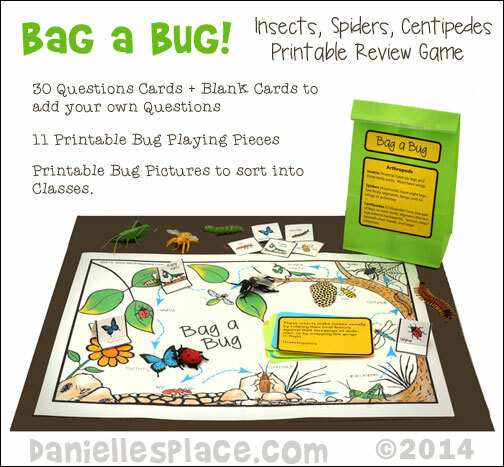 Bag a Bug Printable Game and Sorting Activity - Children throw a die to travel around the bug game board. If they answer a question correctly, they get to collect a bug that matches the space they occupy. The child with the most bugs at the end of the game wins. At the end of the game children sort the bugs they collected into classes. This game reviews arthropod facts including the following: grasshoppers, dragonflies, centipedes, spiders, bees, praying mantis, flies, ladybugs, caterpillars, butterflies, ants, and cockroaches. 1. A Two-Page Printable Game Board. Glue the two sheets together to make a 14" x 10" game board. 2. 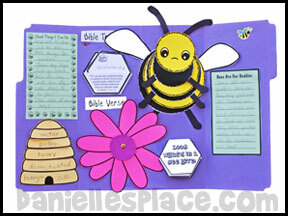 Thirty Printable Question Cards, blank cards so you can add your own questions, and eight questions about insects in the Bible. 3. 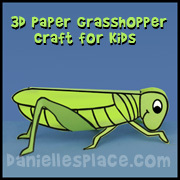 Eleven Bug Game Pieces, and Blank Pieces that children can use to make their own game pieces. 4. Bag Labels with descriptions of insects, spiders and centipedes. 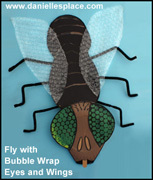 Children can use the bags to store the bugs they have collected. 5. Collectable Bug Cards. 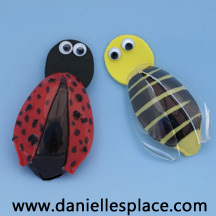 You can use plastic bugs instead of the printable bug cards (not included). 6. Directions on how to play the game. We used Safari Ltd Insects from Amazon.com to play this game. The bugs in this set are the same bugs used in our game. 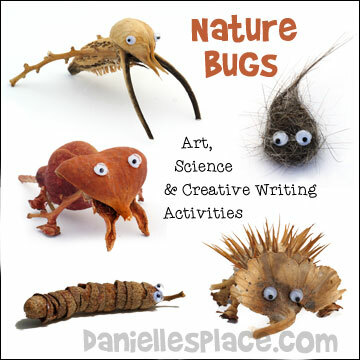 Use "nature bugs" in your science class to teach about insects and spiders, in your English class to promote creative writing or technical writing, and in your art class to promote creativity. Aleene's Tacky Glue - This is the best tacky glue I have found. It even beats Elmer's glue. Toothpicks - The cheap kind. Used to dip in the glue. 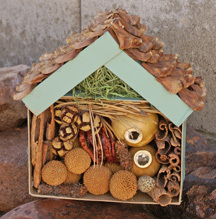 Natural items from your environment such as acorns, seed pods, nuts, twigs, dried flowers and leaves to make wings, hair balls, dust bunnies, dried fruit or berries, dried grasses, pine cones, sea shells, pebbles, etc. 1. 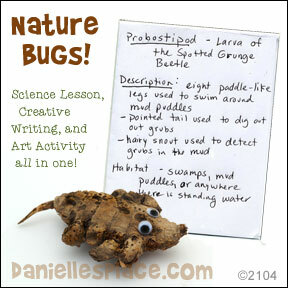 Take your children outside to look for natural items to make their bugs. Encourage them to look for items that have already fallen to the ground, or are on dried plant matter. Open up seed pods, and look through piles of dried leaves. Use this exploration as a science lesson. If you can't identify a plant, leaf, or seed pod, look it up on the Internet or in a nature book when you get back inside. 2. 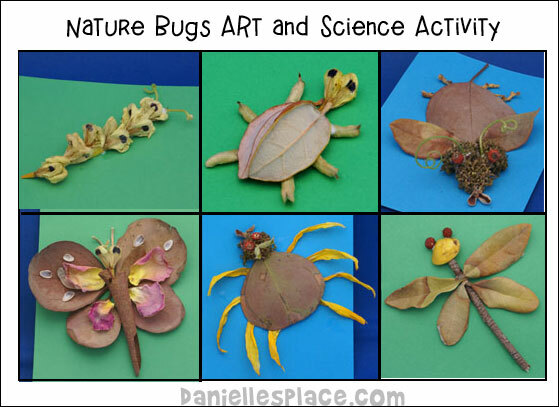 Once you have studied classifications of bugs: insects, spiders, and different stages of insects, encourage your children to use the natural materials they found to create their own bugs. 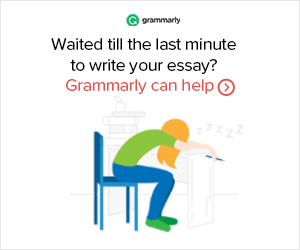 Tell them to decide if they want their bugs to be spiders with eight legs or insects with six legs. If they want to get really creative they can make up their own class of bugs. 3. Give each child a piece of paper with their name on it. Place tacky glue in lids or other containers and have your children dip the ends of toothpicks into the glue and then onto their natural items to glue them together. The toothpicks will prevent them from using too much glue. 4. When your children are done making their bugs encourage them to name their bugs and describe them. Tell them to make up both scientific names and common names, and to describe their bug's characteristics, habitat, life cycle, etc. 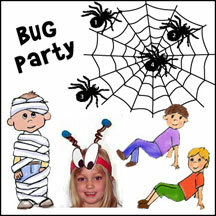 Classifying Bugs Web Site - Scholastic has a great web site to teach children bug classification. This little roly poly curls up into a ball whenever it is scared just like real roly polies. 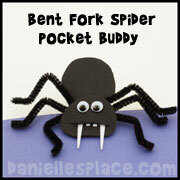 It can be used not only as a toy, but as an educational tool. Have your children study roly polies and then write facts about roly polies on the segments. 2. Draw a face shape on one of the triangles at the bottom corner of the triangle. 3. Punch holes in the tops of the triangles. Pile up all the triangles on top of each other placing the head triangle at the top of the pile. Secure all the triangles together with the brass brad. 4. Spread out the triangles to make the roly poly shape. Cut thin strips of black construction paper about two inches long. Fold them in half at an angle to make the pairs of legs. Roly polies have seven pairs of legs. Tape them to the back of the first and last triangles in the pile. 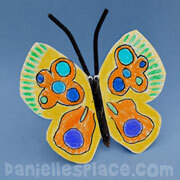 Use two more strips of construction paper for the antennae. Glue on wiggle eyes. 5. 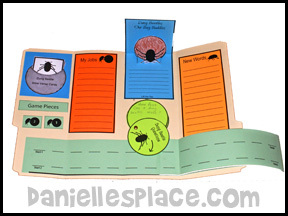 Have your children write facts about Roly Polies on the sections of the roly polies. 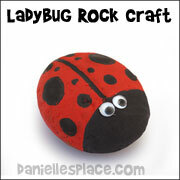 A-Z Schoolers used this Roly Poly Craft to teach her children not to "roll up in a ball", but to face their problems. She wrote things they can do to face their problems on each section of the roly poly and then discussed it with her children. 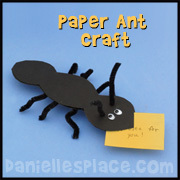 This blog has lots of other bug-related crafts and activity ideas to help children deal with self-esteem. If you are a home schooler or run a preschool, you will find this blog very helpful. Yellow, Black and Pink Patio Paint - Or use glow in the dark paint for the firefly's bottom. 1. 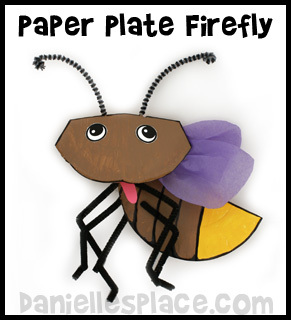 To make the firefly's head fold a 6-inch paper plate in half and then unfold it. Punch holes on the fold line for the antennae. Insert a Chenille stem into one hole and then up through the other. Bend down the ends. 2. Fold the paper plate in half again. Fold back the pointed ends, and then fold them forward. 5. To make the firefly's body fold a 6-inch paper plate in half. Glue the head to the body. 6. Cut wing shapes from tissue paper or a white plastic bag. Scrunch up the end that connects to the body and glue them under the head. 7. Cut Chenille stems in half, fold them into leg shapes and then glue them to the body as shown in the picture. You can punch holes in the body paper plate and insert the legs into the holes and tape them to the inside of the body. 8. To finish cut the eyes from the pattern (or draw them) and glue them to the head. 1. 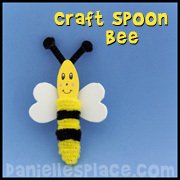 To make the bee and ladybug cut the scoop end off the spoons using a sharp scissors. Cut the red and clear spoon in half lengthwise to make the swings. Use a lighter to melt any sharp edges. 2. 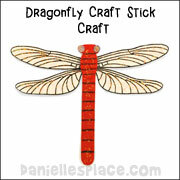 Glue the wings to the body spoon with a hot melt glue gun. 3. Cut circles from craft foam and glue to the body. To finish glue on googly eyes. 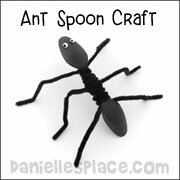 Go to the Ant Craft Page for directions and patterns. Bugs have to live somewhere. Why not make them their own house to live in. 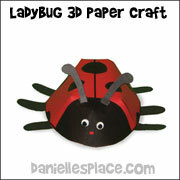 These are great for children who are interested in studying bugs. After leaving them outside for a season, they can take them apart to see how many bugs have taken up residence in their houses. Some items we used: a gourd cut in half, pinecones, reeds, curled up bark, dried apple slices, dried moss, pine needles, Sycamore tree ball, dried berries, and acorn caps. 1. Collect the materials you think bugs might like to live in. Bugs like to hide in holes so find things that have lots of holes or can be arranged so that they create cozy spaces. 2. If you would like to make a roof for your house, cut the lid of the box in half and glue it together to make the roof of the house. You don't have to make a roof. You can glue several boxes together to make a condo or apartment building. 3. If you live in a wet area, you may want to paint the box and then cover it with a clear acrylic paint so that it won't fall apart when it rains. Or you can place it in a dry place where it won't get wet. 4. Arrange the materials you have collected in the box. Group similar objects and shapes. Use low temp. glue to secure the objects in place. For a more pleasing arrangement try not to place everything in the same direction, vary the sizes and shapes or your objects, and group similar objects together. Use different colors of objects if you have them. 5. After your house has sat out side for a season, carefully take it apart and see how many different inhabitants there are, or watch to see how many insects or spiders exit and enter it. 1. Cut pipe cleaners into 2 1/2" pieces and cut the foam egg in half lengthwise. 2. Give each child half a foam egg, six pipe cleaner pieces, and a black pompom. 3. 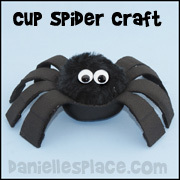 Have them stick the pipe cleaners into the bottom of the foam egg and bend them up for the legs, and then glue the black pompom on one end of the egg for the head, and glue beads on for eyes. 4. To finish, paint the beetle with black paint or use black Sharpy markers. Learn more about Dung Beetle with the Bug Buddies Study on Dung Beetles - Go to the Bug Buddies Study Page. 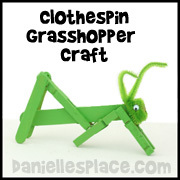 See our Grasshopper Crafts and Learning Activities Page for Home School to find these crafts and learning activities and many more. 1. Fold three pipe cleaners in half. Place a pipe cleaner on the stick at the fold. Wind the pipe cleaners around the stick by bringing the ends of the pipe cleaners around each other and twisting. Bend the legs so that one joint comes up over the stick. Make two more bends in the pipe cleaner. Do this for the other two sets of legs. 2. To make the antennae fold a pipe cleaner in half. Place on the head end of your bug at the fold. 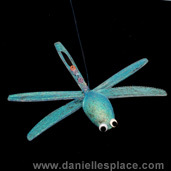 Wind the pipe cleaner around the tip of the stick from both ends to make the head and antennae. 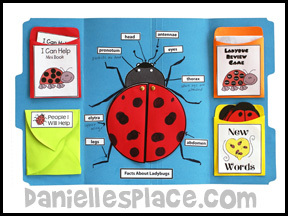 This craft and learning activity is great to use in lap books. 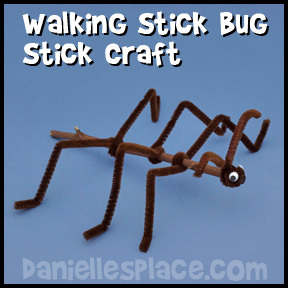 Children glue sticks on the cover of the book to make a walking stick bug and then write about walking sticks inside. 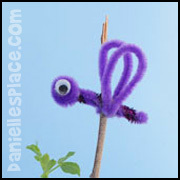 This craft is available in the "Bug Buddies Study" - Christian Home School Materials about God's Amazing Little Creatures". This set of lessons introduces children to amazing insects. 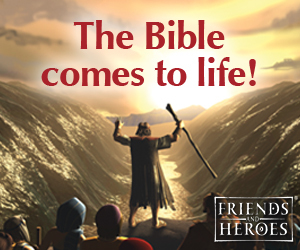 Each lesson emphasizes a Biblical concept relating it to a specific bug, and encourages children to learn more about bugs. Collect dried leaves, flowers, sticks, stones, seeds, shells, acorns, etc. 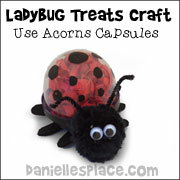 that you can use to make bugs. Glue the pieces together on a piece of 5" x 5" card stock. Aleene's Tacky glue works very well for this project. 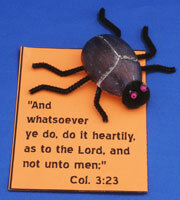 Bug Buddies Studies is a Christian-based set of studies that introduces children to a variety of amazing insects. 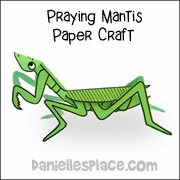 Praying Mantis Crafts and Leaning Activities for Kids Great for Home Schools! 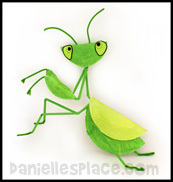 Go to the Praying Mantis Crafts and Learning Activities Page for Praying Mantis Crafts, Learning Activities, and Recommended Books about Praying Mantis. This beetle is fairly simple to make using only 6 parts - a circle for the thorax, two wing patterns, the under part of the beetle and its legs, and then two forelegs. It is made from card stock (Heavy paper) and construction paper. 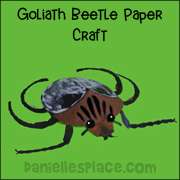 After assembling the bug children can paint it to look like a Goliath Beetle, and add pompom eyes. This craft is available to members only. 2. Cut the beetles and the white circle out. 3. Fold the colored beetle patterns in half so that the right side is inside, then glue the patterns back-to-back, wrong sides together, the right side of yellow beetle to the back of the left side of the red beetle. 4. 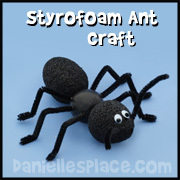 Cut out antennae and legs and glue them onto the white circle. Glue the left side of the yellow pattern and the right side of the red pattern onto the bottom pattern. When you flip over one side of the beetle it will turn a different color. 1. Print out the pattern onto card stock and cut out the pieces. 2. 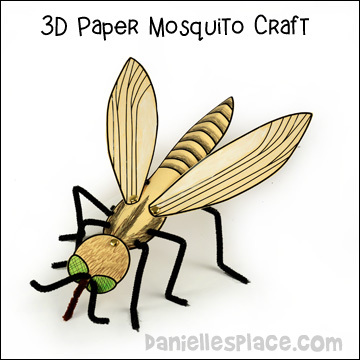 After studying mosquitoes have your children color the patterns to look like real mosquitoes. 3. Punch holes in the body on the small circles and "X". Punch holes in the wings. 4. Attach the wings where indicted with two brass fasteners so that the wings can move. 5. To make the legs feed one pipe cleaner through the top left hole from front to back and then into the top right hole from the back to front. Pull the pipe cleaner half way through so that the legs are even. Fold the legs as shown in the picture. Do the same thing with the next to set of holes. 6. Fold half a pipe cleaner in half to form the antennae and tape them to the top of the head. Punch a hole for the proboscis and feed a pipe cleaner through the hole wind it around itself and cut it to the length you would like. 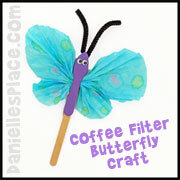 Go to the Butterfly Craft Page for lots of Butterfly, Caterpillar, and Inchworm crafts . This is a great party theme for both boys and girls. Not only are there some great games and activities but you will also have an opportunity to teach children a little bit about bugs and send them home with educational tools that will spark their interest in bugs. Children of all ages will enjoy these activities. 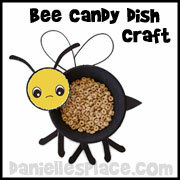 If you have very young children, four and under, you may want to use just butterflies, bees, or ladybugs for your theme and leave out the scarier bugs. 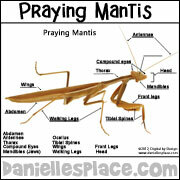 Praying Mantis Printout from Enchanted Learning. Insects Made from Leaves, Sticks and other Natural Items from the University of Kentucky Entomology Web Site. 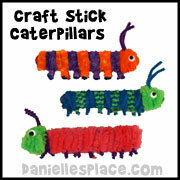 Eric Carle Web Site - There are lots of craft and activity ideas here that go along with his books such as "The Very Hungry Caterpillar, "The Grouch Ladybug", "The Very Busy Spider", "The Very Lonely Caterpillar, and"The Very Quiet Cricket".